It is with much joy and relief that I report Sgt. High Barry was acquitted of all charges related to the death of an emotionally disturbed woman named Deborah Danner on October 18, 2016. The three-week bench trial was heard before Judge Robert A. Neary in the Bronx Criminal Court. Ms. Danner was shot while wielding a baseball bat which Sgt. Barry believed she was going to use to attack him in her apartment. Sgt. Barry committed no crime and was justified in his actions. I commend Judge Neary for recognizing that and acquitting Sgt. Barry of these horrendous charges which made us wonder why the City Administration wasn’t indicted for failure to train police officers so they would be equipped to handle the threat posed by violent EDPs? Testimony at the trial confirmed that no violent EDP training is offered to NYPD officers or supervisors. 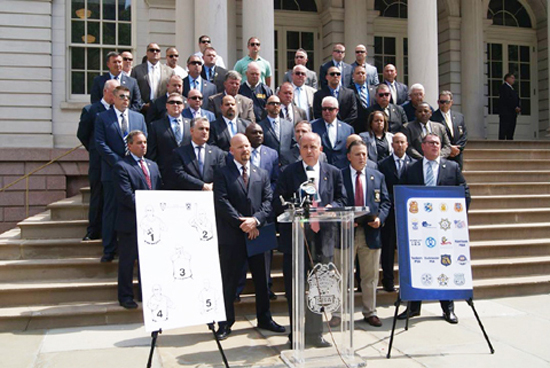 Police union leaders from all over the U.S. including Los Angeles, Son Jose, Omaha, and many others flew to New York for the big press conference to show their support. I want to thank all of the police personnel who were in court each day to support Sgt. Barry, as well as the law enforcement community across the country who offered their assistance in immeasurable ways during this ordeal. While I offer empathy and sympathy to the Danner family, I have nothing but outrage toward Mayor Bill de Blasio, Police Commissioner James O’Neill, and Bronx District Attorney Darcel Clark for the malicious prosecution that was conducted for the most nefarious of reasons. Ed Mullins is president of the NYPD Sergeants Benevolent Association. Just hours after this tragic incident occurred, Police Commissioner O’Neill stated that ‘we’ as a department failed in our quest to assist Ms. Danner. By the next day, the mayor was lambasting Sgt. Barry in the media, which all but guaranteed a politically motivated indictment. The Bronx district attorney continued to perpetuate this travesty of justice by indicting Sgt. Barry. So many people were failed in this case. The police commissioner and the mayor knew the basic facts on the night of the incident, yet they had neither the courage nor the integrity to call this incident for what it was for fear of public unrest. They blatantly lied to the people who they are entrusted to represent. They created a false hope for police detractors, and acted in a manner that was based solely on cowardice and a lack of personal and professional integrity. Their false narrative was put forth for no other reason than to politically enrich themselves. They owe an apology to the Danner family for misleading the facts, as well as Sgt. Barry, all of the hardworking members of the NYPD, and the people of the city of New York who were failed by their ineptitude and dishonesty. Throughout this arduous ordeal, Sgt. Barry greatly appreciated the tremendous support of his law enforcement colleagues from throughout the country. Many of them traveled from as far away as California and Nebraska to support Sgt. Barry at a press conference – and scores of others showed their solidarity in immeasurable ways over the past 16 months. All of this steadfast support was extremely comforting and only increased our strength and resolve in seeing that justice was done. Thank you for standing up and having Sgt. Barry’s back when he needed it most. 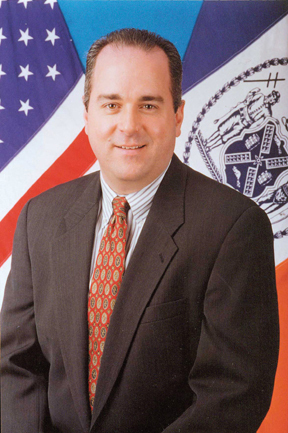 Ed Mullins is president of the Sergeants Benevolent Association, the union representing sergeants in the NYPD.